The Mens Activate Zip Away Pants are so comfortable they make even the toughest and steepest mountain trails a total pleasure. These versatile softshell trousers–part of our Activate series–are very breathable and extremely stretchy. The Flex Shield fabric has multidirectional stretch properties and is purpose-made for demanding trails and agile, dynamic movement. It keeps you dry in light showers and on hard, sweaty ascents. 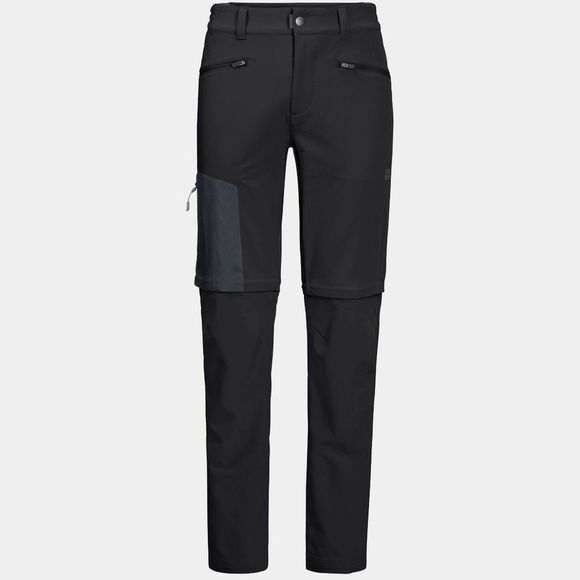 If the sun is shining when you start out you can wear the Mens Activate Zip Away Pants in shorts mode. When you get above the tree line, and the air gets cooler, simply zip the legs on. There are two zips on each leg–one at the knee and a full-length side zip–so switching between shorts and long trousers is quick and easy. With four pockets in total, there's plenty of room for your smartphone, GPS and other little essentials.